Hexadite is an international cybersecurity company that provides automated cyber incident response technology to Global 2000 companies. 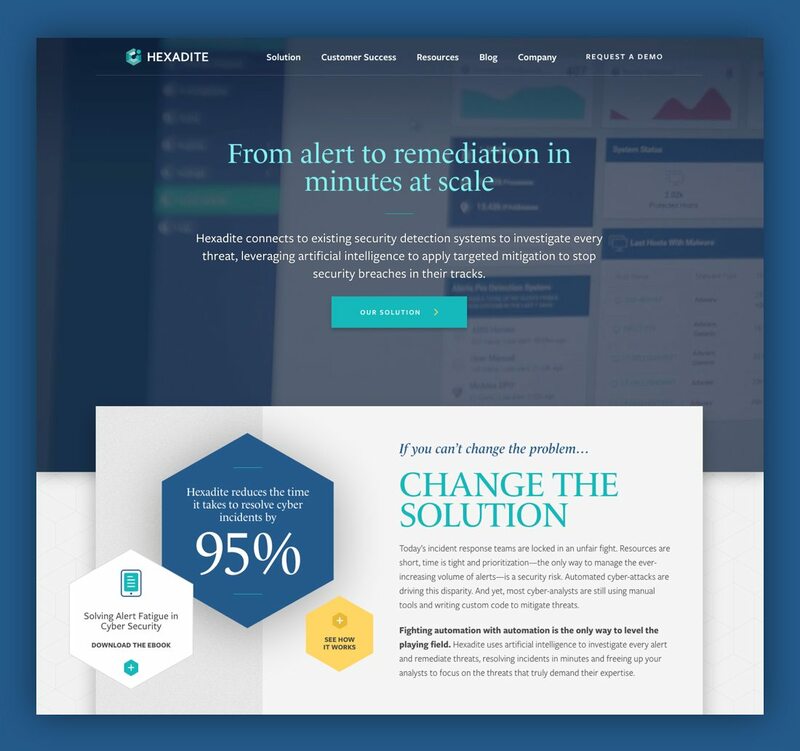 With a rapidly growing customer base, Hexadite was ready to trade its startup aesthetic for a more polished web and brand identity that would speak to the enterprise clients they want to attract. 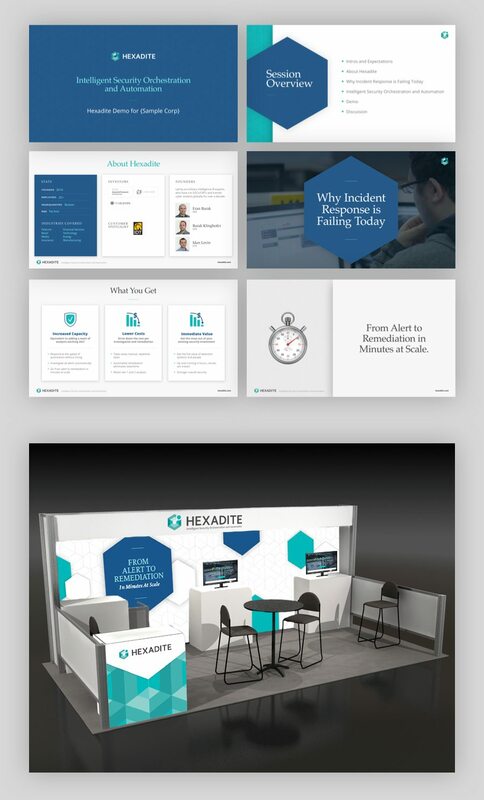 Now, in an industry bogged down by buzzwords and visual cliches, Hexadite stands out with clearly articulated differentiators and a refreshing yet refined brand.